CHERRY HILL, N.J. - Dec. 28, 2016 - PRLog -- The Inside Baseball Coaches Clinic January 12 to 14, 2017 will feature presentations by the nation's top coaches and trainers including Zach Farrel of Louisville as well as Michigan State, PENN State, Virginia Tech, Kansas State and many more. Industry experts from Baseball America have called our coaches "some of the brightest minds in the game today." We are featuring 15 renowned coaches, presenting over 60 powerful and insightful talks covering topics including in-game coaching, pitching, hitting, fielding, speed, arm care, functional strength, mental edge and much more. Zach Farrel has been a member of the Sports Performance Team since 2009 when he became a student intern with the program. In 2009 he moved into a Graduate Assistant role while completing his Masters' degree in Exercise Science (Strength & Conditioning concentration). Upon graduation a full-time position was created to keep Zach on staff. 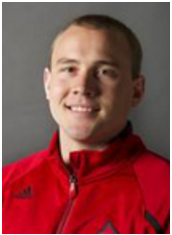 He now serves as the performance specialist for Baseball, Volleyball & Men's Tennis. Coach Farrel serves as the Strength and Power specialist on staff and is a nationally ranked competitive weightlifter. He holds certifications from the NSCA, CSCCa, USAW and FMS. Learn firsthand baseball insights from legendary Zach Farrel. Register for the 2017 Inside Baseball Coaches Clinic by visiting www.insidebaseballcoachesclinic.com (http://www.insidebaseballcoachesclinic.com) or calling (973) 921.0400 today!